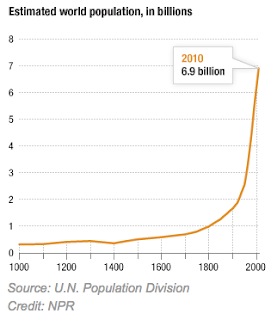 Today's the big day, says the UN--there are now seven billion people. Is that too many? Tony Ord gives a really terrific lecture about the question here. More cool graphics at NPR here. Cool graphics at The Atlantic here.